Have you wanted to study at Miami’s Luxembourg Center but can’t fit it in during a semester? FSB LUX Plus offers this opportunity plus more. This year the faculty will take students to four different European countries to compare and contrast the culture, business management and leadership styles. A business core course and the Miami Plan Global Requirement will be met.An upper level management course satisfies a Human Capital Management and Leadership major requirement or minor elective, an Accountancy business elective requirement, and a Management minor elective. 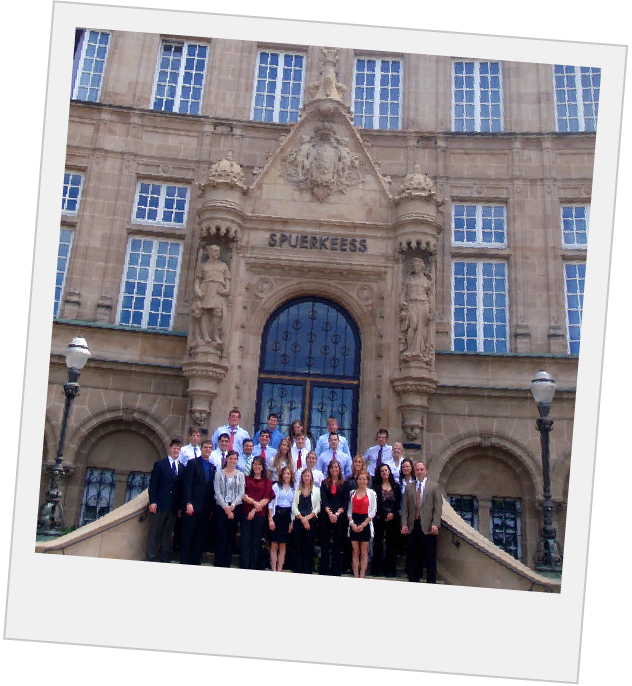 Students have several free weekends to travel to other parts of Europe during this program. This program designed for and a good fit for first year students and sophomores. Locations: Differdange, Luxembourg; Siena, Italy; Budapest, Hungary; Prague, Czech Republic. Housing: Homestays in Differdange and hotels in other locations.